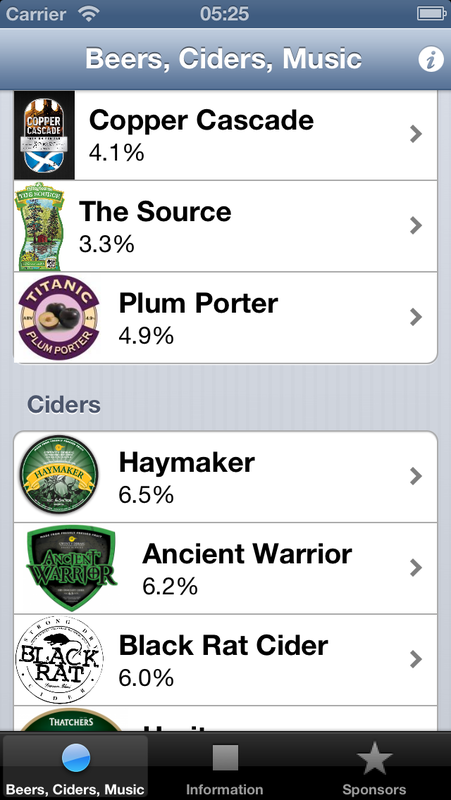 Version 1.2 of FirkinApp includes a capability to blank the sponsorship functions that are built into the app so that if your festival decided not to seek sponsors for the drinks, there's no obvious gap. This means that the app can run in one of two modes: either sponsors per barrel or no sponsors at all. For each festival, the mode is set by a field in the festival information file. 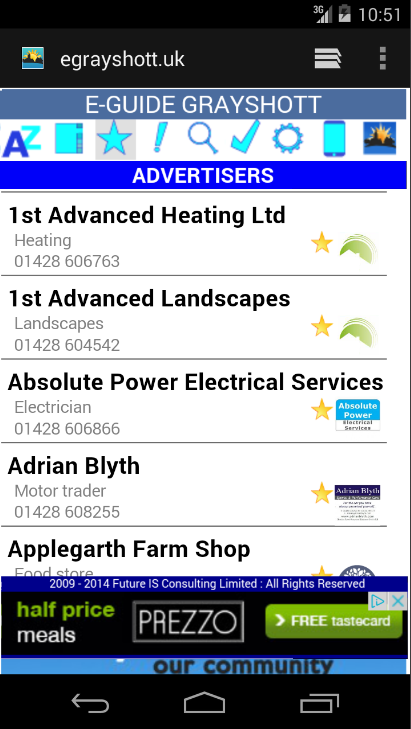 If there are sponsors, a list can be displayed by clicking on the right hand tab at the bottom of the view (iOS). There's an issue on the current version of the web app that is under investigation [2015-06-11]. It doesn't have a setting for separate event-wide (non barrel) sponsors, so if you have these, you'll need to put them on one of the information pages. 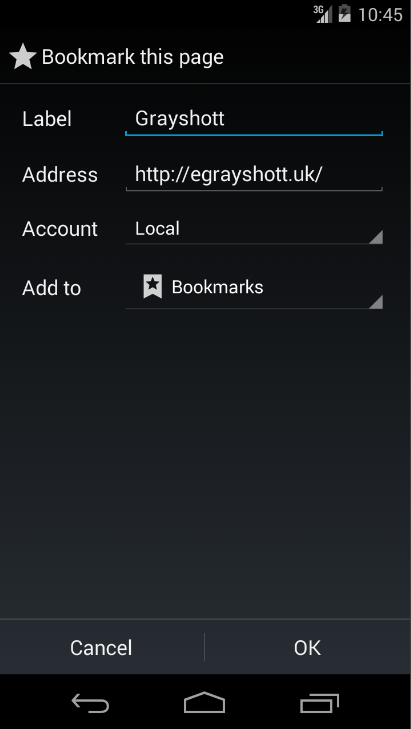 In parallel with this work, the web app (load to your smart phone at http://egrayshott.uk) is also being redesigned to give a more mobile-friendly user interface. It should work better in those 'not quite offline' situations where there's apparently a connection through GPRS or Wifi, but neither brings you any information. The usual reasons are that GPRS is slow and flaky, or the best Wifi connection wants you to go through a sign-in page before you can reach any information. This is work in progress, and an announcement will be made when the new version is ready. The web app looks at its best if it has the full screen available, rather than sharing it with all of the furniture of the device's browser. On iPhone or iPad , the procedure is very simple. 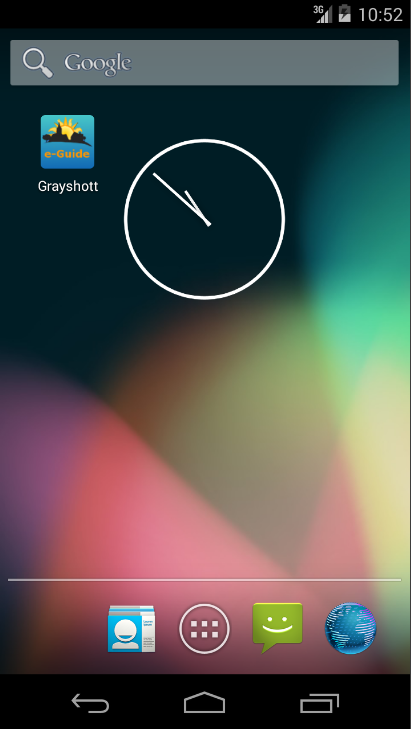 Find the action button (arrow out of the top of the box on iOS 7 and later) and then Add to Home Screen. This will now make an icon on the next available spot on your home screen(s). But if you're doing this on an iPhone or iPad, why not download the native app? 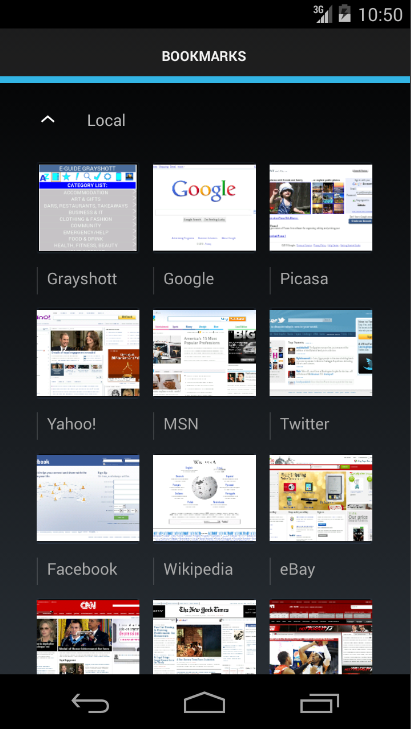 The following series of pictures shows an Android emulator and at least gets the bookmark onto the home screen. It doesn't clear all the browser furniture when the icon is clicked, so I'd welcome feedback on how to achieve that. Please e-mail here with subject: Android. 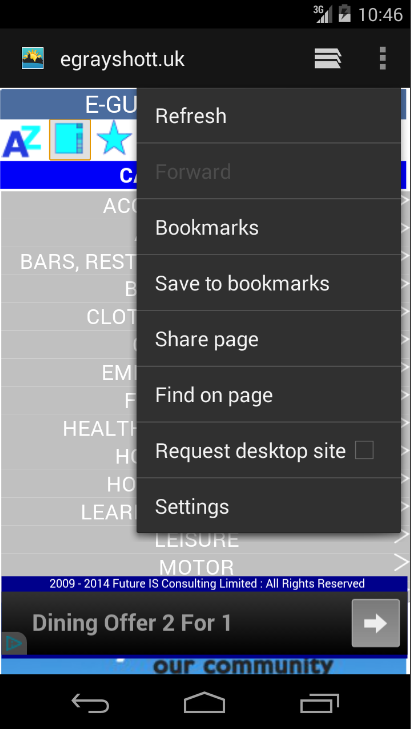 From the initial browser page, use the menu (top right) to find Save To Bookmarks. 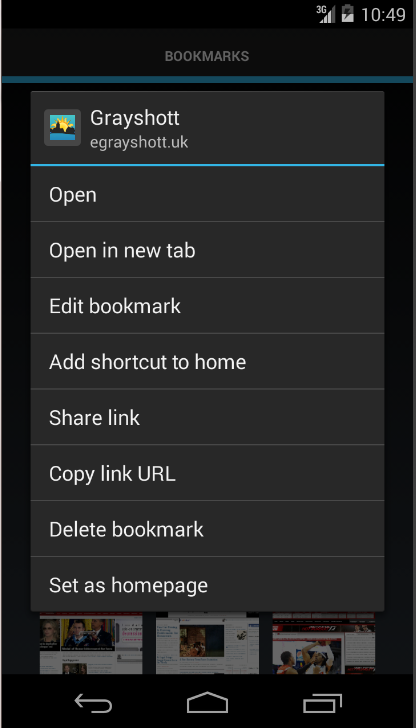 Then to save to the home page, in the Bookmarks menu, hold down the Grayshott iconand select Add shortcut to home page. [Current status: 2014-10-21] The iPhone version of the app has been approved and is ready for release. We will do this as soon as the data is readied and agreed, and the approach to its maintenance is settled. [Current status: 2014-10-08] The first iPhone version of the Grayshott e-Guide app has now been submitted to the iTunes App Store for approval before its official release. The web app is being updated to take into account design decisions taken during the iPhone development. All the data is test data; some was picked up from old directories and may be out of date, and we will be working in the next few weeks to improve this. For more details of the app, please refer to its overview page. Explanation - all entries in the directory tables have their own graphic, icon or logo, and the app will go online to find these and save them. When the app is used before it's loaded all of these and when connected to GPRS (well, we don't seem to have 3G in the village), it can appear to freeze or hang while scrolling through the listings. It will appear faster in Airline mode but won't be as visually appealing. We found while cleaning up the data ready for publication that the A-Z display stopped appearing. This was quickly found to be due to the addition of two businesses whose names start with lower case characters. When these were changed to upper case, the problem disappeared. This will be addressed in a later release but for now, all organisation names must start with an upper case character or a number. 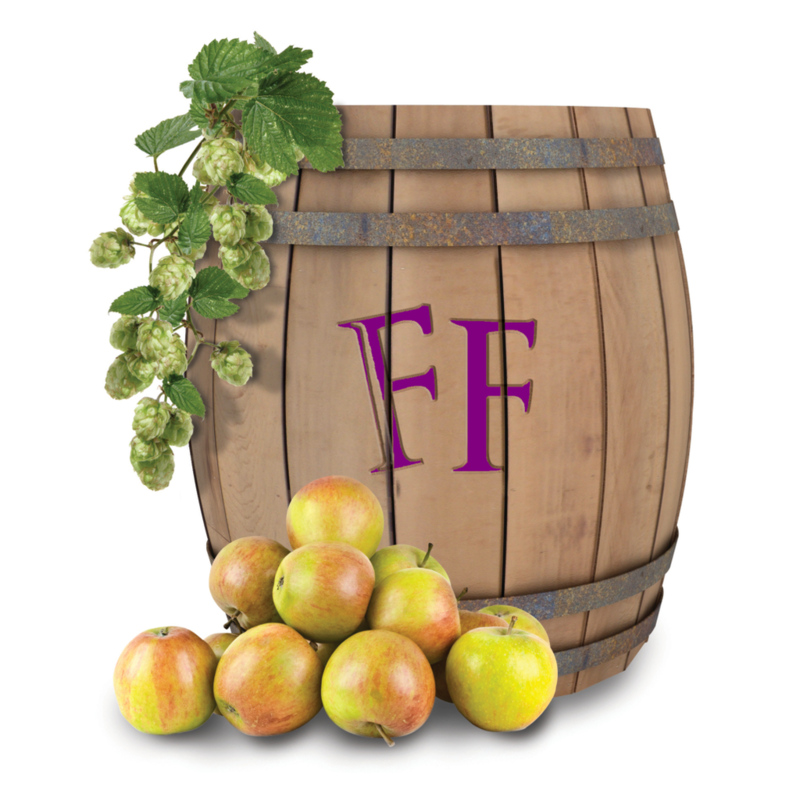 Please post incident reports for FirkinApp (iOS and Web) as comments to this thread. The free GIMP image manipulation program does exactly what it says, but for a beginner like me with a single task that I only need to do occasionally, it can be confusing. You can download the application from http://www.gimp.org/ and there are versions for Mac and Windows PC (maybe others too). Add a new layer: Layer/New Layer command and make its fill Transparent. Export the file as a png file: File/Export As and then confirm Export - make sure there are no spaces in the file name!